John W. Anderson 's first catch was a trophy 4-½ pound smallmouth bass from a Michigan lake--the first of many angling successes for one of the sport's foremost heavy-tackle anglers. After serving in the U.S. Army Air Force and OSS (the predecessor of the CIA) during World War II, he graduated from Yale University in 1947 and spent 45 years building his family's steel tubing firm into a multinational force. During his time off from work, he became a world-traveling angler-- scoring two remarkable catches off Australia's Great Barrier Reef In 1978 and 1983: a 1,318 -pound black marlin landed in 57 minutes and a 1,307-pound fish taken in 47 minutes. Anderson is among very few anglers who have accomplished 10-to-one ratios (fish weight vs. line class) of black marlin, blue marlin, striped marlin and Pacific sailfish. 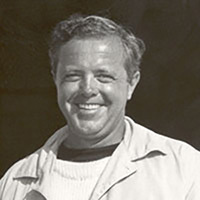 Anderson participated with his father Wendell Anderson Sr., in marine research expeditions to New Zealand, Ecuador and Peru with scientists from Yale University's Bingham Oceanographic Laboratory and Peabody Museum in the 1940s and 50s. In 1965, Anderson's team won the International Tuna Cup Match in Wedgeport, Nova Scotia. Anderson continued his association with the Match until 1975, on the Board of Directors and as Chairman of the Match Committee. He served as an IGFA Trustee for 30 years, and Vice Chairman for 20.